It is true to say that in most walks of life, etiquette no longer plays an important role and has been diluted to men opening doors for women, firm handshakes and getting to your feet when someone arrives. Many of today’s bodyguards come from a Police or Military background and through that training, do have some grasp on basic etiquette but, again this is quite limited. 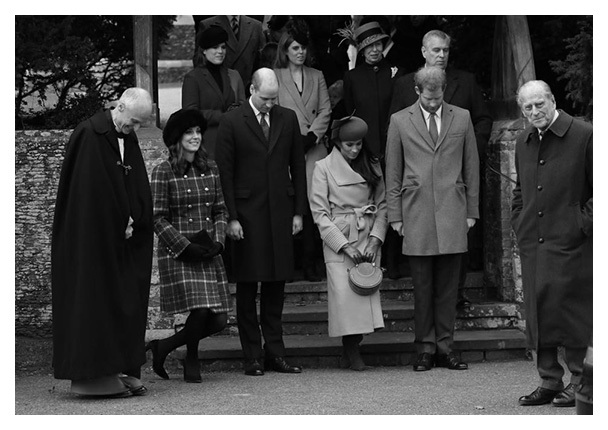 The world of Close Protection and Executive Protection, by nature, involves being in close proximity to Royals, Ultra-High-Net-Worth Individuals and Celebrities; and while there are some amazing Close Protection Courses on the market, not many of them cover etiquette in any great depth. Etiquette, like Emotional Intelligence is simply taught and cost nothing to practice and master, yet will add a great deal of value to the service that you offer and the person that you become. Good etiquette also has a positive effect on others around you and will never go unnoticed by clients or those whom you work with. People say that ‘you cannot buy class’ - what they are often referring to with that statement is etiquette and behaviour. If you cannot show steady, mature behaviour, then being a Bodyguard is probably not for you, etiquette however can be learned and put into practice very quickly. When you think of etiquette, it's best to think less of table manners and greetings and more about the Arabic word ‘Adab’. This refers to prescribed Islamic etiquette: "refinement, good manners, morals, decorum, decency and humaneness". Etiquette is not just how we treat others, but more about our life choices. It goes without saying that there are times when protecting a Client, where etiquette plays second fiddle to the job itself. As a Bodyguard it is very important that from the off that you understand your place. You are a member of staff and not part of the client's close party or inner circle. Speaking when spoken to and not getting involved with the client’s private conversations, are mistakes that many inexperienced bodyguards will make – often with disastrous consequences. Why talk about ‘Celebrity Bodyguards’ when talking about etiquette? Well, the two do not really dovetail, part of etiquette or ‘Adab’ thinking "refinement, good manners, morals, decorum, decency, humaneness". “Being more Royal than the Royal” is an expression that is often used in the Royal households for someone who has ideas above their station and delusions of grandeur. This type of behaviour is often exhibited in ‘Celebrity Bodyguards’ who live the lifestyle of their clients and who seek fame and attention off the back of being employed to do a job – often putting their clients at risk in doing so. A great example of this is Kim Kardashian-West and Kanye West’s long-time bodyguard, Pascal Duvier. His overstepping the mark was his use of Social Media, this, coupled with his client use of Social Media – putting his client at risk. While etiquette should be extended to Social Media, of course it is just plain bad practice to not have a good handle on your social media output when working. Evidently, in hindsight, there was far more wrong with the employment of Pascal Duvier, not limited to the fact that he was a bankrupt; but that is for another article! If you are interested in Social Media use by security professionals, see our article: Social Media, your ego and security. Decorum is a powerful trait for any Bodyguard. Etiquette always starts with personal behaviour, this extends of course not only in person but into the virtual world of Social Media. It would be a correct assertion that others might see frailty in good manners and politeness. As with many areas of being a Bodyguard, it’s about knowing your audience; you can still remain assertive while displaying the traits of good etiquette. How you treat people in a lower social class, or managerial position is of vital importance! Etiquette is a great bedfellow of excellent management practice - if you want to get the best out of others, lead by example in your own behaviour towards others. As with any formal greeting, it is important to remain calm and confident. Never ever offer a handshake, unless, one is offered first. For men, it is customary to stand to attention, to gain eye contact and to give a slight bow and nod your head, or if familiar, a simple court bow (head only), while giving your formal greeting. For example, “good morning your Royal Highness”; Kings and Queens are always addressed as “Your Majesty”. For women, while giving the same address, a small curtsey; never over the top and with grace. Custom dictates after the first occasion of that day, they are addressed as “Sir or Mam”. In Arab culture bowing is not the norm, a handshake is more likely to be offered. With female Arab Royals, it is traditional to avoid direct eye contact and physical contact, such as a handshake is forbidden; although, some may offer, and if offered, a short, light handshake is acceptable. As with all clients, conversation should always be kept to a minimum. If referring to other members of the Royal Family in conversation, then you would talk about “His Royal Highness, Her Royal Highness or Their Royal Highnesses”. In writing, this is abbreviated as HRH & TRH, if in familiar conversation you might also refer to “the Prince, the Princess or the Duke etc.”, but it is not good manners when talking to other Royals, to refer to The Queen or King as such, but more properly referred to as “Their Majesty”. Etiquette is 100% about respecting other people and this of course extends to Religious and Cultural understanding – what might easily cause offence, many Bodyguards have fallen foul of taking Pork products into Muslim households or sending bottles of alcohol as gifts. Middle Eastern and Asian cultures revolve around the family unit and while families and extended families remain close in most areas, subjects like personal health are closely guarded and normally kept between siblings. Poor health is seen as a sign of weakness that may be exploited. While ‘Social Class’ might not be evident in everyday western culture, in many cultures around the world an individual’s class really matters and it is very important to have some understanding about the class structure if you were dealing with, for example, African or Middle Eastern clients. In some areas, Tribal Hierarchy is also a very important part of local custom with Council based on feudal systems centuries old. It is a very diverse world, it is well worth investing the time into reading up on the do’s and don’ts pertaining to your client’s religion and culture. At some point very early on in your Executive Protection career, you are going to be in a very high-class establishment dining with, or in proximity to your client. Understanding dining etiquette is not limited to what cutlery or glassware to use and when to use it, but Debretts do write a great article on Table Manners that goes into quite a bit of detail. It goes without saying, that as a Bodyguard, there are most definitely foods to avoid when dining with clients. Dishes that contain garlic is always best avoided, as is shell fish, unless you want to run the gauntlet of food poisoning while working. Dining with Arab clients, even in western settings, can pose to be a minefield. The best course of action is to follow the lead of the client! One important thing to note with Arab culture is that you should never eat using the left hand – or accept food or drink using the left hand; always the right, as the left hand is considered unclean! Many might think it odd taking about appearance when talking about ‘Etiquette’, but appearance and style are very much part of Etiquette & Adab. Knowing what to wear and when, and not to over dress is very important. A suit says a lot about its wearer – do you wear a suit, or does it wear you? Understated class is a good phrase, your client is the most important person, and while you should remain well turned out and well groomed, it is important not to out-dress your client. Going back to religious and cultural understanding, many countries have dress codes that not only talk about covering up, but also the wearing of certain types of clothing, such as camouflage patterns. As a Bodyguard you will no doubt be asked your opinion on something. Rule one of any client/bodyguard conversation is not to ever offer an opinion on something, as it could lead to misunderstanding. Constructive criticism or admitting “I don’t know” is distasteful in Arab culture and will be found insulting. You should always avoid any conversation about politics or indeed subjects like human rights and you should never assume that your client will have the same views as yourself. “Manners maketh man” – Yes, they do. From table manners to invading someone’s personal space, general manners are really important. Listen more and talk less is a great rule of thumb. All personal interaction is important, polite small talk can in some cases dig a deep hole. In western society, it is considered polite to express admiration for someone’s prize possession, but never do it in Arabia. To say, ‘that is beautiful,’ or, even worse, ‘I like it,’ would make the other party feel obliged to give it to you. Intelligent Protection International Limited provides the very best bodyguards for our clients around the globe. Our Bodyguard training, work experience and skills are as important as their Etiquette and Emotional Intelligence - this is one of the key areas that defines us as different from our competitors. If you are interested in discussing your requiremnts with us for our Close Protection Services or Royalty Protection Services, please contact us.